248 pages | 7 B/W Illus. 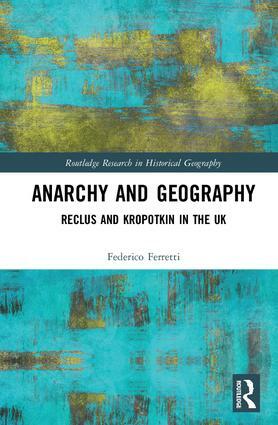 This book provides a historical account of anarchist geographies in the UK and the implications for current practice. It looks at the works of Frenchman Élisée Reclus (1830–1905) and Russian Pyotr Kropotkin (1842–1921) which were cultivated during their exile in Britain and Ireland. Anarchist geographies have recently gained considerable interest across scholarly disciplines. Many aspects of the international anarchist tradition remain little-known and English-speaking scholarship remains mostly impenetrable to authors. Inspired by approaches in historiography and mobilities, this book links print culture and Reclus and Kropotkin’s spheres in Britain and Ireland. The author draws on primary sources, biographical links and political circles to establish the early networks of anarchist geographies. Their social, cultural and geographical context played a decisive role in the formation and dissemination of anarchist ideas on geographies of social inequalities, anti-colonialism, anti-racism, feminism, civil liberties, animal rights and ‘humane’ or humanistic approaches to socialism. This book will be relevant to anarchist geographers and is recommended supplementary reading for individuals studying historical geography, history, geopolitics and anti-colonialism. Federico Ferretti is a Lecturer in Human Geography at University College Dublin, Ireland. He discussed a PhD dissertation on Élisée Reclus’s New Universal Geography at the Universities of Bologna and Paris 1 Panthéon-Sorbonne. He has taught in Italy, Switzerland, France and Brazil. His main research interests lie in alternative geographical traditions and the international and multilingual circulation of geographical knowledge, especially from Latin America and continental Europe.